OK, I am going to attempt to resurrect the blog. The key, I think, is going to be to keep it short and simple. Simon got a subscription to High Five Magazine from my mother-in-law and he LOVES it. 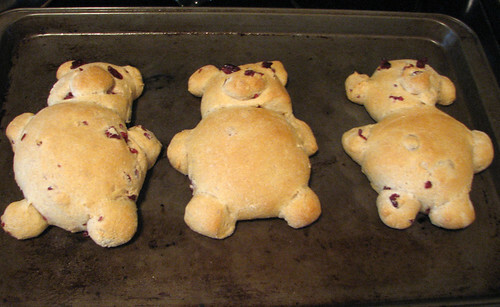 This bear bread was a project in the magazine. 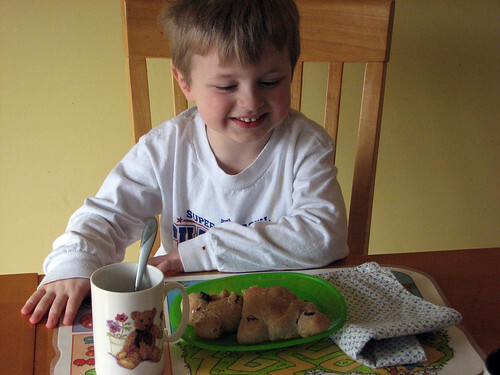 He is a big fan of both cooking and eating, and he insisted he make this right away. The magazine calls for some store-bought bread dough, but we made some cranberry-wheat dough in the bread machine. Yum!